Bring your young children to the Library for a fun-filled hour of hands-on STEM; science and nature exploration activities . This will be part of a series of workshops being offered at all West County Public Libraries . STEM focuses children’s natural curiosity on pre-scientific observations and discoveries as they play with water, look at bugs, experiment with smells and sounds ,use magnifying glasses and otherwise have a good time! Every family that participates will take home a STEM Kit with materials to continue their explorations at home. Every family that participates will take home their own STEM KIT. The library will be closed on Monday, May 26, 2014 for Memorial Day. 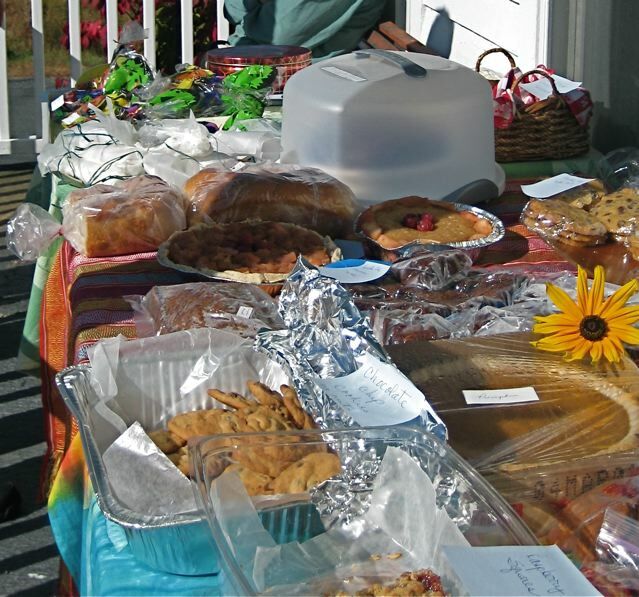 Please come to the Friends of the Heath Free Public Library Spring Bake Sale on Saturday, May 24, 2014 from 10 am to noon on the front porch of Sawyer Hall. Cookies, pies, cakes, mini-pizzas, and more. The Friends support the library in many ways, including funding preschool Story Hour and the Summer Reading Program, and paying for new books, DVDs and magazines. Last October they purchased a new Book Return to replace the old rusted leaky one.